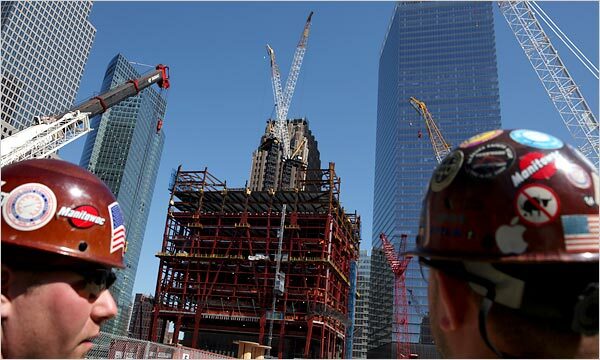 Progress at World Trade Center site…..Deal in the offering? The Port Authority Board has signalled that they will not go beyond building 1 World Trade Center and one more building with their money…..and are holding out for Silverstein to raise funding for the building of two more building that the Authority will help with..but not be the sole funding source….. The parties have been court…but agree that a deal should be done to speed up the rebuilding on the site to have some progress by the ten-year anniversity of the attack in 2011……. Port Authority and other government officials and the developer Larry A. Silverstein have reached a tentative agreement that could resolve a 16-month impasse at ground zero and allow two new skyscrapers to be built on the site. 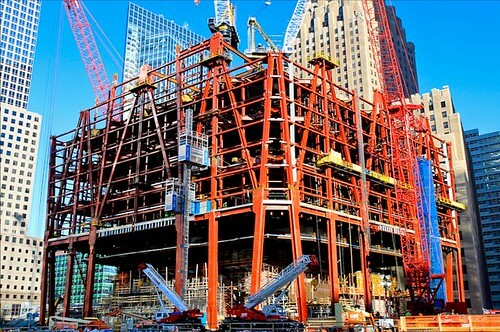 The Port Authority is already building 1 World Trade Center, a1,776-foot tall skyscraper; a $3.2 billion transit center; the national memorial, and new streets and utilities that serve the site. Mr. Silverstein, who held a lease on the twin towers when they were destroyed and has continued to pay rent to the Port Authority, has the right to build three other towers at ground zero. Unable to secure financing in the current real estate market or corporate tenants for the three towers, Mr. Silverstein asked the Port Authority to finance them. Under the tentative deal, the Port Authority would finance one of them, a 64-story building on Church Street. The city and Port Authority have already agreed to rent space in the building. The authority, Gov. David A. Paterson and Mayor Michael R. Bloomberg would agree to secure contributions of equal amounts of money to serve as backup financing for the second, 71-story tower, providing that Mr. Silverstein raises $300 million in cash and signs leases with corporate tenants for a portion of the space, about 400,000 square feet. All sides have agreed to pool the remaining insurance money from the 9/11 attacks, about $1 billion, and tax-free Liberty Bonds for the two buildings. Mr. Silverstein’s third tower would be delayed until some future date. The World Trade Center site (ZIP code: 10048), also known as “Ground Zero“, sits on 16 acres (65,000 m2) in Lower Manhattanin New York City.The World Trade Center complex stood on the site until the September 11 attacks; Studio Daniel Libeskind, the Port Authority of New York and New Jersey, Silverstein Properties, and the Lower Manhattan Development Corporationoversee the reconstruction of the site. The site is bounded by Vesey Street to the north, the West Side Highway to the west, Liberty Street to the south, and Church Street to the east. 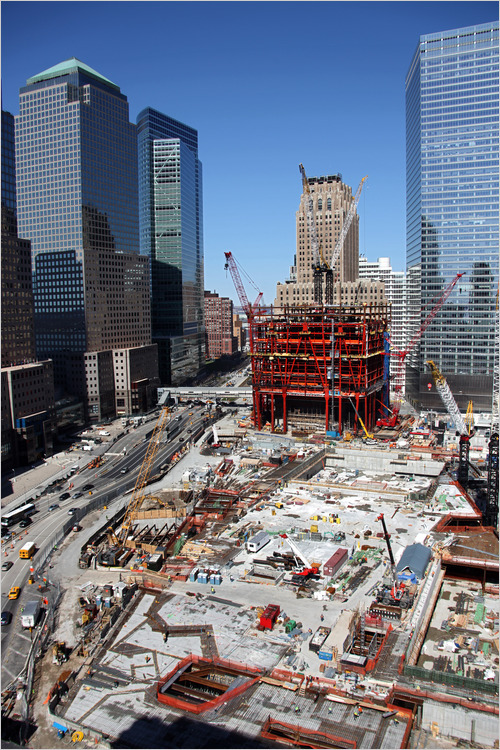 The Port Authority owns the site’s land (except for 7 World Trade Center). Developer Larry Silverstein holds the lease to retail and office space in four of the site’s buildings. The Port Authority website link……..